Extract: "With countless businesses being created around subscription and membership models, .CLUB has proven itself to be a popular domain extension for entrepreneurs and innovative companies,” said Colin Campbell, president and CEO of .CLUB Domains. 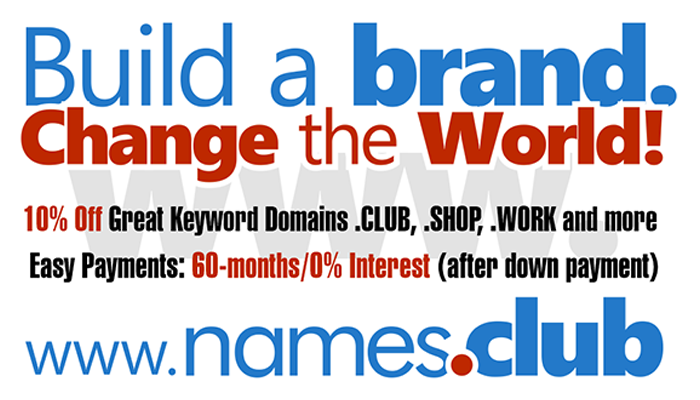 “We’re excited to offer some inspired, fun and extremely lucrative .CLUB domain names in this auction. Every one of these names can be the launching pad for a category dominating business, and there are expected to be some great deals at this auction".